Crystal Point made from Genuine and Natural Polished Rock Quartz Gemstone. 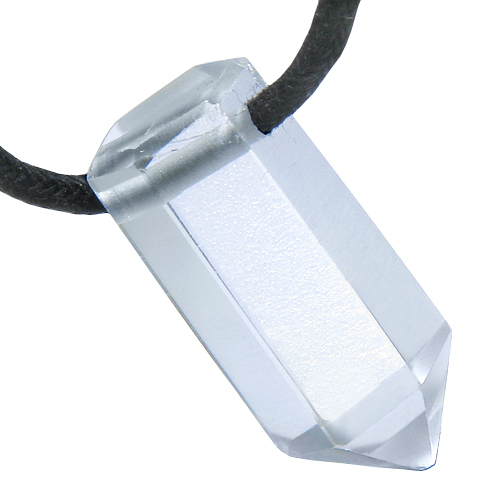 This is Naturally Unique and One of the Kind Crystal Point Gem Charm Necklace made from Polished Rock Quartz Gemstone. This Crystal is made from Genuine Gemstone and may have natural specks. It comes with 18 inch cotton cord with Lobster Claw Buckle and looks absolutely Gorgeous. These Crystals are Handcrafted from Brazilian Gemstones and made exclusively for Best Amulets. This Crystal is Evil Eye Protection Amulet, as it is made from Crystal Quartz Gemstone and attracts powers of Protection against Evil Eye energies and forces.